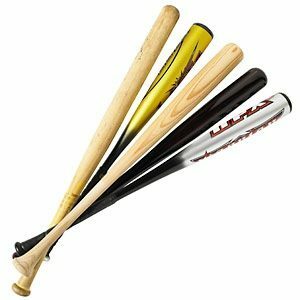 USA Baseball recently announced the adoption of a new bat performance testing method for youth baseball bats for ages 12 & under. USAB is basing the new standard on research that demonstrates manufacturers now have the technology and materials to construct non-wood youth bats throughout the entire range of lengths and weights that perform on the same level as wood bats. USAB National member organizations American Amateur Baseball Congress (AABC), Amateur Athletic Union (AAU), Babe Ruth Baseball/Cal Ripken Baseball, Dixie Youth Baseball, Little League Baseball, and PONY Baseball are supporting the new program, USABat. USABat will go into effect January 1, 2018 and be applicable to bats classified below NCAA and National Federation of State High School Associations (NFHS) age levels. The 2018 date means no immediate changes will be made to the rules and allows time for the bat manufacturer to get the products into retail outlets. The goal of USABat is to make the game more uniform by eliminating performance discrepancies to maintain the integrity of the game. The USABat performance test is based on the coefficient of restitution from a bat-ball impact. This is similar to the BBCOR standard that is being used by NCAA and NFHS. However, the youth bats were tested with different balls and pitch speeds to simulate the youth game. All new bats displaying USABat licensing mark (available in the fall of 2017) will be permissible for play in participating youth baseball organizations. Bats currently deemed acceptable by their league will be permitted through December 31, 2017. In my opinion: Even though not a stated goal, this new standard will address the issue of the “hot bat” and the fear of line drive injuries to pitchers and infielders.